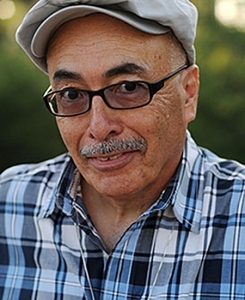 On June 10, 2015, the Library of Congress announced the appointment of America’s 21st poet laureate: Juan Felipe Herrera. Not entirely new to the position, Herrera served as California’s poet laureate from 2012–2015. Herrera was born in Fowler, CA, on December 27, 1948, to a family of migrant workers. Throughout his younger years, Herrera cartooned and played folk music. After graduating high school, he received an Educational Opportunity Program (EOP) scholarship to attend UCLA where he earned a BA in social anthropology. He earned a master’s in the same field from Stanford and, ten years later, an MFA from the University of Iowa Writers’ Workshop. Many poets since the 1960s have dreamed of a new hybrid art, part oral, part written, part English, part something else: an art grounded in ethnic identity, fueled by collective pride, yet irreducibly individual too. Many poets have tried to create such an art: Herrera is one of the first to succeed. In 1974, Herrera published his first poetry collection titled Rebozos of Love. He has written twenty-eight poetry books as well as novels for young adults and children’s stories, winning many awards. Since 2011, he has been chancellor of the Academy of American Poets and is director of the Art and Barbara Culver Center for the Arts in downtown Riverside, CA. He held the Tomás Rivera Endowed Chair in the Creative Writing Department at UC Riverside before his retirement earlier this year. Today, Herrera has five children and lives in Fresno, CA, with his partner Margarita Robles, a poet and performance artist. This entry was posted on Wednesday, July 1st, 2015 at 12:00 am. Both comments and pings are currently closed.